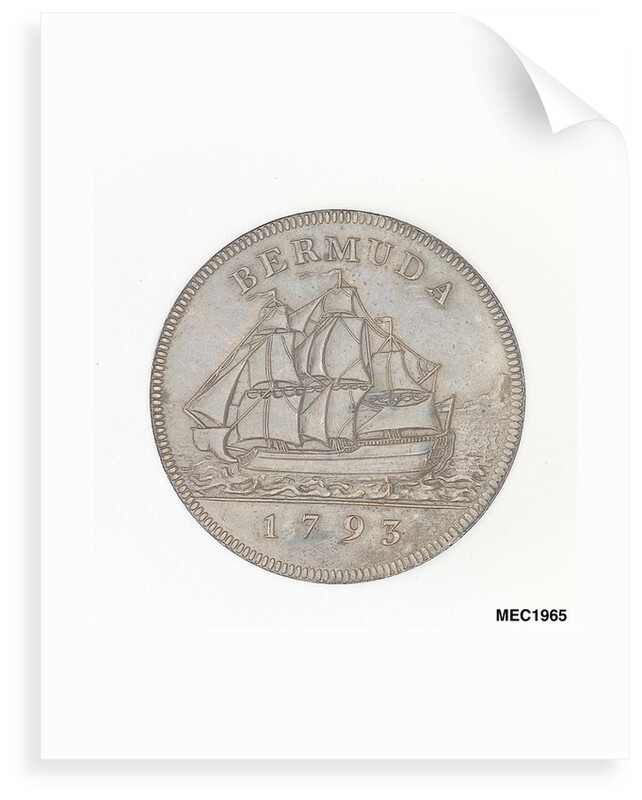 Bermuda Penny. Obverse: Bust of King George III, laureate (right). Reverse: Port broadside view of a full-rigged ship under sail. More by the artist J.P. Droz.